Sapna is gearing up for the release of her Bollywood film Dosti Ke Side Effectss. Haryanvi dancer and singer Sapna Choudhary is busy with the promotions of her upcoming film, Dosti Ke Side Effectss. Along with dancing, she has also been praised for her sartorial picks. 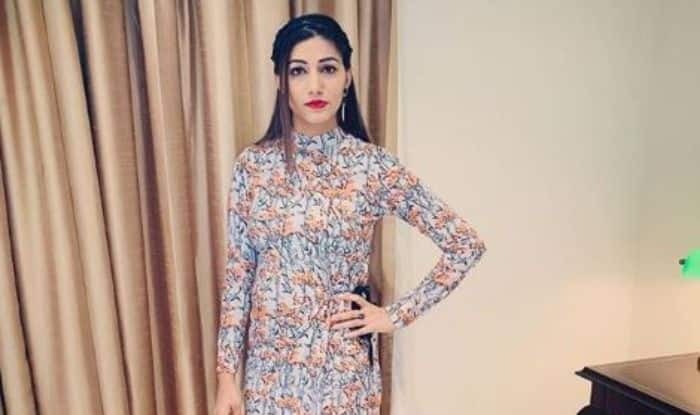 Recently, Sapna shared a picture in which she can be seen posing in a knee-length floral dress. She left her hair open and opted for a dark lip shade. Sapna completed her look with a pair of black heels. It is quite evident from her post that the dress is a gift from one of her fans. Sapna is making her Bollywood debut with Dosti Ke Side Effectss. The trailer received positive response from her fans. She will be seen playing the role of a cop. The project is helmed by Hadi Ali Abrar and bankrolled by Joyal Daniel. It is all set to hit the screens on February 8. The movie also features Vikrant Anand, Zuber K Khan, Anju Jadhav, Neel Motwani and Sai Bhallal. One of her songs from the film titled Tring Tring has already become a rage on the social media. It will be interesting to see how her film performs. Looking at her fan following, it will surely get a thunderous response. Her latest music video Ghunghat has garnered over one million views. Sapna became a household name after participating in Bigg Boss. She couldn’t lift the trophy but the show gave a boost to her fan following. She featured in music videos like Chori 96, Superstar, Ram Ki Su, Billori Akh. Sapna added another feather in her cap by venturing into Bhojpuri and Marathi cinema. The Haryanvi dancer also broke the silver screen with her Bollywood songs like Tere Thumke and Hatt Ja Tau.